· Administers accounting and financial reporting regulations and conduct of regulated companies. 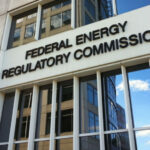 FERC publishes a monthly newsletter to their employees called the FERC Insider. Below, you will find issues, released to The Black Vault, under the FOIA. There are more being processed, and they will be added here when released. January – November 2010 [89 Pages, 56.2MB] – You will find bookmarks in the PDF file notating each issue.